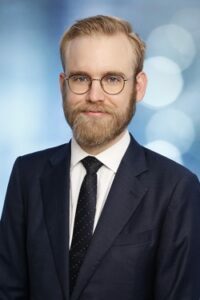 Iain joined Paxton-Hall Lawyers in 2016 and holds a Bachelor of Business (Accounting) and a Bachelor of Laws from Queensland University of Technology. Iain has gained experience in commercial transactions and not-for-profit specific matters under the tutelage of Robert Cunningham and Paul Paxton-Hall. Iain has a keen interest in technology, specifically, distributed ledgers and decentralisation. Iain is a member of the Legal Forecast Queensland executive committee, a volunteer at the Caxton Legal Centre and a director of Tokens For Humanity.